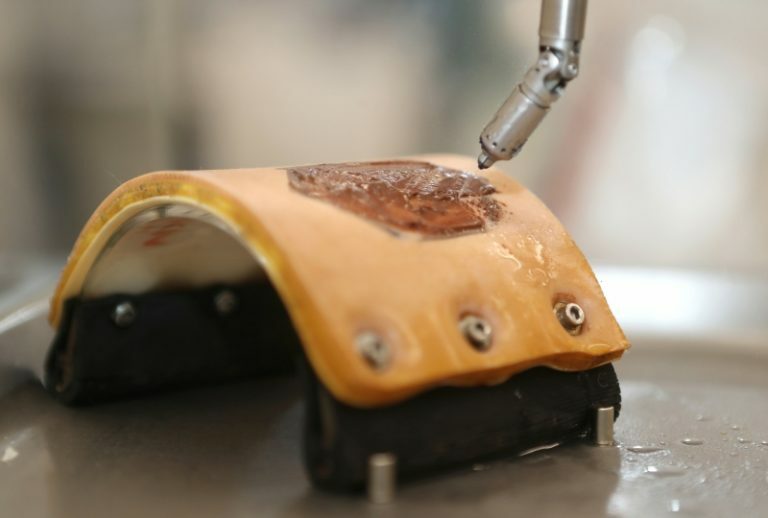 In order to make use of the many advantages that waterjet surgery offers and to reinforce these, scientists of the MIRO Innovation Lab of the Institute of Robotics and Mechatronics of the German Aerospace Center (DLR) have developed a robotic method based on the MIRO technology. For this purpose an endoscopic waterjet probe was integrated onto the MICA robot, which serves as the development platform for medical instruments and is linked to the MIRO robot. To test the clinical potential of this novel technology the developers have now carried out a systematic evaluation in collaboration with the University hospital Freiburg – a corporation started in 2016. The scientific findings of this project were published on the international scientific online-journal PLOS ONE in September 2018. The paper describes the most important results and methods of the procedure. The significant advantage of waterjet surgery is tissue selectivity. The required amount of water pressure for ablation of tissue that is damaged or devitalized is a lot lower compared to that needed for healthy tissue. This way water pressure can be used as means to limit the ablation to solely damaged or devitalized tissue. In addition, the application of robots showed a consistent high coverage rate of the target area. As a result, the danger of reinfection would be reduced and the healing process could be accelerated. Another advantage that this technological approach has over conventional methods is the spatial separation of the doctor and the patient: The doctor can keep his distance from the pathogens and debris that the waterjet disperses into the air during surgery, and thus the risk of cross-infections would be reduced.